Fresh facts have begun emerging on the fuel subsidy palaver, and the latest is that some people have turned it to a personal war. An example is what is currently happening to the MD/CEO of Capital Oil and Gas Industries Limited, Mr. Patrick Ifeanyi Uba. We gathered that because of a business disagreement he had with Dr. Cosmas Maduka of Cosharis Group, Maduka is now using his relationship with AigbojeAig-Imoukhuede, the GMD of Access Bank Plc and also the chairman of the Presidential Committee on Verification and Reconciliation of Fuel Subsidy Payments, to allegedly get at him. It was learnt that even before Uba was detained at the Special Fraud Unit of The Nigeria Police Force, Milverton Road, Ikoyi, Lagos, upon his visit with his lawyer and five of his top staffers (on Tuesday, October 9, 2012), Maduka had allegedly boasted that he must keep him in detention for 14 days, which of course has now come to pass and shows that this whole thing was pre-planned. We also learnt that their next line of action is to strip him of his assets. As a matter of fact, we were told that the fate of Dr. Erastus Akingbola, the former MD of the defunct Intercontinental Bank awaits him. 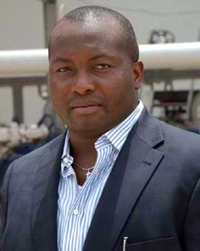 “They have their eyes on Ubah’s vast assets, especially his massive depot, which is the third largest in the country and will stop at nothing to have it,” squealed a source. “Because, let’s face facts, why is it only Uba that was arrested? Where are the other top players in the industry also mentioned in the matter? The story flying up and down now is that former Lagos Governor, Asiwaju Bola Ahmed Tinubu is silently fighting for Mr. Wale Tinubu of Oando, while billionaire businessman, Alhaji Aliko Dangote has thrown his weight behind Alhaji Sayyu Dantata of MRS. Uba was detained and humiliated because he has no one to fight for him. Summing it all up as intimidation, another source added that the gang-up is meant to intimidate Uba and strip him of all his assets and nothing more. “However, the people after him should not forget that even if nobody fights for him now God will surely fight for him. All they have been doing to the young man is to heap lies upon lies on him. The Federal Government of Nigeria contacted Ernst & Young, an international agency to conduct the verification exercise. They should allow the agency publish their findings instead of coming up with cooked-up stories. Nigerians are not fooled. They know the truth and will continue to pray for Uba. Inspite of being only 41, he has touched a lot of lives. And all those whose lives he has touched with his generosity will continue to pray for him – whether the enemies like it or not. Dr. Uba meanwhile was released on Friday, October 19, 2012.